Rich buttery Gooey Butter Cake made from scratch the old-fashioned Saint Louis way by our own bakers! 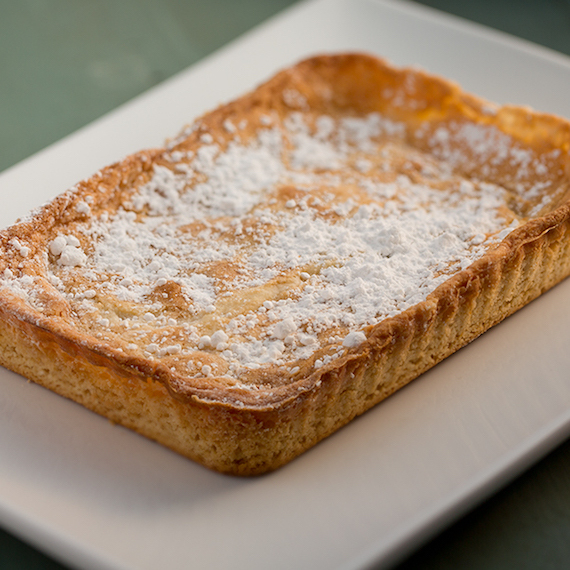 Believed to have originated in the 1930's, Gooey Butter Cake is a St. Louis original! This is a flat and dense cake made with wheat cake flour, butter, sugar, and eggs, and dusted with powdered sugar. While sweet and rich, it is somewhat firm, and is able to be cut into pieces similar to a brownie. I can only assume it was as good as expected. It was a gift, so I did not sample it. Purchased as a gift for former St. Louis resident. Delivered as promised. Fresh and on time.